The story behind ‘Just like tomorrow’ is at once fascinating and intriguing. Written by Faiza Guene, the daughter of Algerian immigrants, at the age of seventeen, the novel’s potential was quickly recognised by Boris Seguin, the director of a neighbourhood cultural centre with which Faiza was involved. Seguin showed the opening chapters to his sister, an editor at a French publishing house and Faiza was offered a contract. Since then ‘Kiffe Kiffe Demain’ ‘ the French title of the novel which appropriates Arabic and more traditional French ‘ has gone on to sell 200,000 copies in France, has been translated into 26 languages and has led to Faiza’s being requested to give numerous lectures, have a monthly radio column as well as voice opinions on the Paris riots. In spite of the considerable acclaim the novel has garnered and in spite of the insight it offers into high-rise life in the Parisian suburbs, ‘Just like tomorrow’ does not read as a wholly convincing novel. The danger with engaging stories that surround the conception of a book is that they may eclipse the writing itself. That is true with ‘Just like tomorrow’ and rightly so for the compassion, good-humour, warmth and intelligence that Faiza radiates in interviews is entirely deserving of celebration. The story is an account of Doria, a somewhat obstreperous fifteen-year-old, who being female, the daughter of a Moroccan Muslim, disallowed the opportunity to retake a year at school because there are two few places and admired by neeky Nabil has an understandably bleak, introspective outlook on life. Throughout the novel Doria sees a psychiatrist and it is through these, that possibilities begin to open out for her. Faiza’s narrative offers great insight at points, it can be tender and genuinely touching and it is strength of Doria’s voice that is the real success in this, at-points-frustratingly-non-cohesive book. ‘Just like tomorrow’ is a book that deserves to be read, it shows great promise and it is the promise that should at once be recognised and regaled here rather than efforts to portray Guene as the Bronte of the Burbs, a difficult claim for even the most experienced writer to live up to. It is certainly to be hoped Faiza Guene continues her writing endeavours for if so, surely a bright career stretches ahead of her’ Mention should be given to Sarah Adams translation which, as with the ‘Golem’ series, admirably brings the slang-uage of the suburbs verve and liveliness. Cat Weatherill’s language leaps lithe and lively with the flared flair of a fire-cracker. Like its predecessor ‘Barkbelly’ had before it, ‘Snowbone’ focuses on the world of the Ashenpeakers, a wooden people hatched in fire from eggs. Like the vestigial veins of snow that cling upon the earth, Snowbone is strong and determined with beliefs at heart that are not easily melted or made to vanish. The world she is born into is one of bias and prejudice where her people serve as stock in the slave trade. With a greed fuelled by elixir-like tree-sap, as well as imposing servitude upon their waking days, the slavers also desecrate the sacred groves of trees, the entities all Ashenpeakers are destined to become once they move on. With a keen sense of morality and a crew of friends to aid her, Snowbone sets out on a quest to bring about an end to the trade. Snowbone charst further still the richly imaginative world that was created in the first novel. Although Barkbelly himself makes a cameo appearance, this is very much a story that stands alone. Cat’s written style is fast-paced and lively showing a deft awareness of the story and intrigue that lies behind every situation and each scenario. It is a fast-paced adventure with a profound message about the nature of freedom and liberty. Like its predecessor before it, ‘Snowbone’ has all the feel of a true classic. Set in what appears to be a medical isolation unit, known to the children as the Bin, language is paramount in this world which is hyper-sensitive to the power relation between children and adults. Language and perception, they bind the four outcast children together founding the sense of community and kinship from which their friendships are forged. Gradually the interiority of the children’s world and the uncertainty regarding their future prompts them to make a bid for freedom. Toward this end, they are reluctantly aided by Nail and his girlfriend Natalie, whose story has been interspersed amongst those of the children. Disturbing and challenging in parts, ‘Angel Blood’ is a novel that prompts consideration into our perception of the world and of beauty versus difference. The cultural bubble that the children grow up in defies as to the ways children are educated about the world that surround them and the types of accumulated prejudice and tardiness-of-thought that can be inherited. Readers are guaranteed a thought-provoking read and are likely to find their outlook altered… This is a novel that elicits response and whose ideas are deserving of discussion, making it an ideal choice for reading groups. This book’s success lies within the fact that it is first and foremost a book about families and about love and a book ‘about adoption’ second. It does not moralise, preach or condescend through repeatedly stating how ‘special’ it is to be adopted, indeed Lucy has friends who, like herself, are adopted. 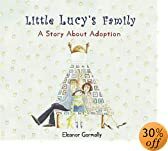 In addition to depicting Lucy’s own need to grow and develop within loving, caring family relationships, the book also outlines the need that Lucy is able to fulfil for her mum and dad who badly want a family. The awareness Lucy has of her past is great and the text is unambiguous about the fact that she was too young to remember her time in a Children’s Home in Russia though, nonetheless, having been adopted is clearly an integral part of the person Lucy now sees herself to be. There is a wonderful double-page spread in the book where Lucy and her father look up at the stars in the night-sky and make wishes together. An intriguing depiction of the bedroom whose walls open out into the night stars forms the backdrop against which Lucy and her father are embraced. It brings to mind beautifully the type of kinship that we as humans are able to attain when our hearts and minds are open to the needs of others and ourselves. A reassuring and life-affirming read for anyone, not just those who have been adopted. It’s a difficult to write engagingly about the subject of adolescence, growing up and the changes that affect the mind and body through puberty. Geoff Price, himself a councillor, mediator and facilitator at a private practice in Sydney, has done an admirable job with ‘Puberty Boy’, though nevertheless this is still unlikely to be the sort of book that is fervently read cover-to-cover. Rather it is the sort of book that concerned parents might purchase in good faith for their sons who illicitly dip into chapters as and when that need arises. A glossary and list of resources make this a particularly practical book ‘ a number of the resources listed are Australia-biaised, this presents few problems for the web-based resources, however, for land-based centres hefty travel costs are likely to be incurred! Testimony from a number of real life people and detailed yet sensitively written descriptions and explanations of the various stages of puberty and the feelings and anxieties these might elicit, help to normalise situations that can often feel isolating. ‘Puberty Boy’ has exceptionally high production values – it could almost be a coffee table book! ‘ and its considerate, thoughtful written style combine to make this one of the stand-out books on the market. Needless to say, the gift is of monstrous proportions! The Trinosaur herself is a lumbering, lugubrious but ultimately loveable vegetarian. It is hard not to let out a celebratory cheer by the end of the novel when, after all of her adventures and mishaps, the Trinosaur successfully makes a bid for freedom, fleeing the army. Rich and resplendent with onomatopoeia and linguistic play, this is a book that begs to be read aloud as Michael Rosen indicates through his plea towards the end of his introduction ‘read this pleasure-loving romp out loud, with plenty of cod accents and ham gestures.’ This new edition is made available by Jane Nissen books, a small independent publisher who is exciting and commendably bringing back into print numerous classic children’s books from yester-year. That is Mr. Zooty’s motto. Sam, Lucy and Mrs Taylor have little money and are out collecting leaves one day for luck. Luck favours them, as Mr Zooty, a philanthropic feline, happens to be in the vicinity. Mr Zooty pretends to be a hobbling old cat and feigns fainting. The family take him home whereupon he reveals his true persona, giving each of the family a wish. Sam wishes for pancakes, Mr Zooty adds maple syrup, Mrs Taylor wishes for a ruby red purse to help alleviate her worries, Mr Zooty adds a new hat, but when Lucy makes her wish a hot air balloon arrives which was not what she wished for’ perhaps this will take them to her wish? Eventually the group arrive at a kitten which was what Lucy wished for, but Mr Zooty’s generosity and perception into the needs of other knows no bounds as his additions to Lucy’s wish show’ Mr Zooty explains how, everybody needs a little help sometimes. Suffering from a degenerative illness, Mark is dying. Understandably his family have difficulty coming to terms with the imminent loss of their son, so it is that they approach Laz-R-Us, a company who are not only able to recreate loved ones, but also to replicate the basic memories believed to have structured that person’s character using a patented system known as Kwik-Learn. Advances in modern day science and technologies have posed new ethical dilemmas for society. ‘Mark II’ is very much a tale of our time, it challenges concepts of individuality, of love, memory, learning, mortality, commercial profiteering and Godly irreverence. Poignant and moving, it is impossible not to feel combined pathos and empathy for Mark’s clone who, in outward appearance and expectations, is the equal of the deceased Mark. This, however, is discordant with the low levels of understanding and comprehension that Mark holds for the world that surrounds him, and it is Phil’s endeavours to teach the clone of his best friend worldly-wisdom, whilst at once simultaneously grieving the loss of his best friend per-se, that form the novel’s most powerful and memorable sequences. It is friendship and its depiction that are the lynch-pins of this novel, its ending forces consideration as to whether Mark’s clone has been assimilated into the person whom Mark was held to be, or whether his future is made free by the friendship he is able to continue with Phil’ Highly gripping, highly thought-provoking and highly contemporary in both theme and approach this is definitely one to watch! Fourwinds is the self-designed manifestation of its affluent owner, Ernest Farrow’s controlling nature. Set around the turn of the twentieth century, the novel opens as Samuel Godwin arrives at the house having successfully gained employment as art tutor to Ernest Farrow’s daughters the wild Marianne and Juliana. Named Fourwinds because of a sculptural enterprise that would have seen four depictions of the wind ‘ Northerly, Easterly, Southerly and Westerly, the Westerly wind was apparently never completed. On Samuel’s approach to the house, he encounters for the first-time Marianne, who is desperately searching for the Westerly wind, believing this holds the key to securing her family’s happiness’ Indeed, the fourth wind is a key, it is central to the mysteries and the secrets that each Farrow family member holds and around which the story of this novel is woven. Told jointly through the shifting view of Samuel and Charlotte Agnew ‘ governess to the girls ‘ and with brief epistolary interludes, the book keeps readers guessing and in anticipation of its shocking revelations. It’s narrative form bring to mind the novels of Wilkie Collins and Samuel’s position as aspiring artist in position of tutorage to two siblings is reminiscent of ‘The Woman in White’. ‘Set in Stone’ is about secrets that have been submerged from society to aid appearances of acceptability and decorum, it is about the strains these exert upon family ties and the ways in which, under these circumstances, families can tie us down. Ultimately, ‘Set in Stone’ is about avoiding the past petrifying or paralysing our present, thereby denying our future. It is about healing and is an intensely admirable and intriguing novel. All too often reportage by the popular press of those seeking asylum presents the public with an image laden only with leaden value judgements ‘ asylum seekers are seen solely as vagrants. Little surprise then that such instantly reactionary accounts all-too-easily fuel the types of hatred and intolerance that the far-right breeds. Through their ability to make us think and feel vicariously, stories offer us the opportunity to explore more fully backgrounds and circumstances to the events that surround us everyday’ they offer us an ever-widening outlook for our world-view. Guardian Children’s Ficton award winner Rachel Anderson’s latest book, ‘Red Moon’ is one such title. It is a richly textured novel with an unadorned prosaic style that belies its intense emotional impact. Fathered by the Scottish Douglas and French Anne-Marie, Hamish is an unusual, thoughtful boy. Never having played football, suffering from asthma and always handing his homework in on time, it is perhaps small wonder he has no friends amongst his peers and thereby has a somewhat insular approach to life. Running in tandem alongside this is the story of Ahmed or ‘ slightly less politely ‘ Ali, as he later becomes known. Academically gifted, Ahmed’s ambition for his future is to become a respected teacher. This is shattered, however, once the militia take over the teaching compound. From a community that is able to offer no assurance of safety to its citizens, Ahmed begins a journey to seek refuge, shelter and protection. His voyage takes him by truck and by boat, eventually depositing him, washed ashore onto a French beach near the university where Hamish and his mother are staying. Inevitably, the eventual union between the two boys is initially a difficult one, Hamish is frustrated by Ahmed’s reticence to communicate and later by the increasing demands that Ahmed begins to make of Hamish. ‘Red Moon’ is a novel that challenges consideration into perceptions of our fellow-beings, its clever shifts in perspective avoid it becoming moralising and yield from the reader unbridled compassion not only towards Ahmed, but also towards Hamish. Both boys have faced trauma and loss, but through the geography and social positioning of their respective births, one has been supported and nurtured, whilst the other left to fend for himself, to find for himself and fight for himself, for his own freedom. That the two interwoven narrative perspectives shift from being recorded in different typographical fonts towards the same by the end, provides oblique reference that this has been successful. Through its multi-layered scrutiny of ‘language’, ‘residency’ and ‘asylum’, concepts of ‘nationhood’ and ‘race’ are necessarily explored and assumptions challenged through the story. This in itself is enviable given the recent YouGov poll carried out prior to the local elections on 4th May which found 7% of people were ready to vote for the British Nationalist Party and 24% had either considered doing so before, or thinking about it now. Compassion can serve as both prevention and cure to intolerance; it is present here in abundance.